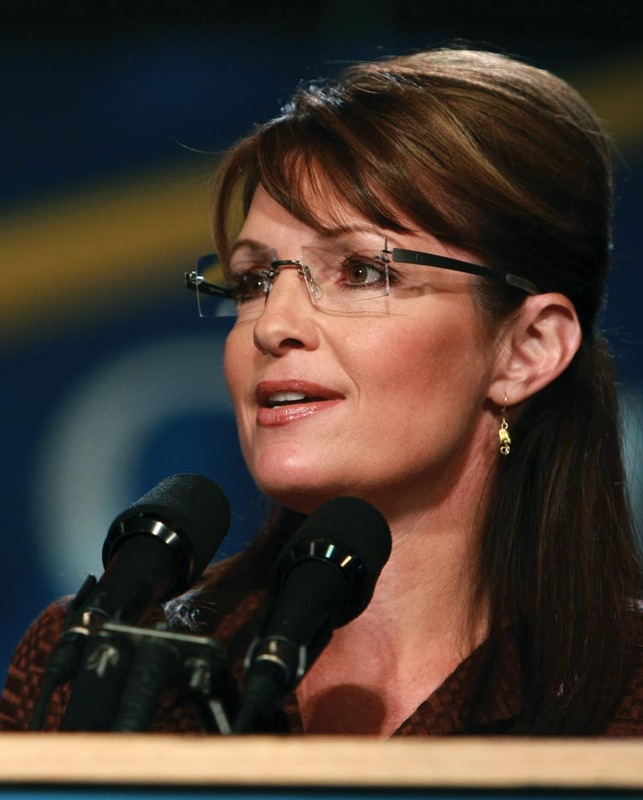 « Palin Announcement on September 3rd More Likely? This entry was posted on Monday, August 22nd, 2011 at 01:19 and is filed under Election 2012, Politics, Sarah Palin, Tea Party, Update. One of the things that happens in any political season is that supporters of candidates can become overly confident and lose their edge. My preferred candidate is, as you all know by now, Governor Sarah Palin. As you also know, she has not yet made her entry into the race for the GOP nomination official. Many people have been tempted to talk about how she’s going to beat Obama, myself included, and while that’s important, I’d urge my friends to temper their enthusiasm with the reminder that while we know she can win, the rest of the GOP doesn’t yet understand it, and it’s going to take our tireless efforts to make that happen. It is not my intention to be a wet blanket, as I am as thoroughly enthusiastic at the notion of Sarah Palin’s imminent entry as any, but let me say this clearly: We who wish to see her inaugurated in January of 2013 must remember that this will be a long and difficult fight. We have an uphill battle in all ways but one: Ours is the superior candidate, and we know it. Let us now begin to show the rest of the GOP, and indeed the rest of America, why this is true. I am certain that upon an announcement, Governor Palin will in some way begin immediately to coordinate her supporters. There’s been no official campaign structure to link her to all the groups who have supported her for so long, but the rudiments are already in place with the great work of people who’ve been coordinating in their own states and regions for quite some time now. It’s now time for you to begin building those contacts back up, and staying in touch more closely so that those who have waited for so long in expectation of this moment are able to take that stored enthusiasm and turn it into boots on the ground in every state in the union. You want to win, don’t you? There will be those who will hesitate at the notion of any formalization of their efforts, but to succeed, we must reaffirm our commitment in the candid and well-mannered self-discipline that has really been the calling card of Sarah Palin’s supporters all along. I had one young person ask me recently how to help. I said without hesitation that we must lead, but as we all know by now, to lead is to serve. Let us serve our chosen candidate first by being there for her. On September 3rd, whether that is the date of the announcement we all hope for, or not, we must be there for her, as many as we can, in such dedication as the moment will deserve. Remember, by entering the race, Governor Palin will signify her own willingness to serve you, and the country, first by being there. The truth is, she’s been there right along. We must do the same. The other thing I told this youngster was that we must remember that by association with her through our support, we must conduct ourselves at all times as her ambassadors. This can be difficult at times, because there will surely be some ne’er-do-wells you will encounter who will try to rattle you or provoke you into words that you might later regret. Remember, the world is sadly overstocked with some nasty provocateurs who would love nothing better than to goad supporters of Governor Palin into embarrassing themselves or even worse, the Governor. Let the better angels of our nature be our guide. We all find instances in our daily lives when we must deal gently with obnoxious people who don’t deserve the kind treatment prudence demands we afford them. I’m not asking you to be a pushover, as I don’t think that’s what Governor Palin would want, but just remember: As her supporters, we’re out there on her behalf. Let’s do her proud! If this seems a bit burdensome, it’s really not. We need only to remember our goal. What is our goal? Is it that Sarah Palin runs for the nomination, or that she wins it? If she wins the nomination, is that the end? Of course not, as we intend to see her win the nomination, and then the presidency, and even then, our task will have only gotten off to a rousing start. Then we will set about restoring the nation, and that will be a long and difficult task, but I’m sure you will agree that it’s the mission for which we’ve volunteered to lead and to serve. My point to you is not to dampen your enthusiasm, but to remind you for a moment of why we fight, and what we’re fighting to achieve. I hope you will be heartened as am I by the things you have already accomplished. We’re going to have tremendous fun doing it, and it’s going to the source of great pride in our lives. We’ll make many more new friends, we’ll do all that which we are now assembling to do, and more you may not yet imagine. All of this we can do, and have a start at repairing what is broken, but let us remember that is what we gather now to accomplish. I have told you that I am prepared to wait so long as Governor Palin sees fit to wait. That remains true. I have told you all the basic reasons I support Sarah Palin, and many of you have written to say you agree with me in most ways. It seems that we’ve formed a sort of family, and I am proud of that too, but as I have told you before, things are getting bad here on the farm, and our pastures are now dust-bowls. I am betting what remains of the farm on this effort because I love it, and I know this is our last chance too. Some arrogant politicians will spout about having “skin in the game,” but I am here to say to you that I know how many of you also face hard times, and that you, like me, have more than some “skin in this game,” but instead our necks on the block. I know it, because you’ve told me. We face much worse if we don’t restore this nation, and you and I know there’s only one way that’s likely to happen. Remember that for which we fight. Lead. Serve. Do it with the same fervor for which you would fight for your very lives. I know you will, because the character of those who email and message me daily aren’t the sort to wilt in the face of adversity. Now is the time for that self-discipline that it took to build a nation. What must drive us is the love we feel for the ideal that is America, strengthened in the knowledge that we have found our champion after too many years without one. For what it’s worth, I want you to know I am proud of my association with you. I haven’t felt this sort of kinship to such a large group since I was in the Army, where we were all brothers and sisters in one cause. Isn’t it funny that now, when the country needs us most, we assemble again, some of you younger, and some of you older, but among you some familiar faces from my youth when I learned about real self-discipline, leadership and service? So it is now for me, once again. Thank you! Today, I will send another contribution to SarahPac. I have decided to do all I can for one last chance to save this country. Yesterday, I talked to some fine folks who look at our future prospects as things are and tremble at what it will mean. We can’t permit it. We mustn’t, and so I ask you to find all that is good in yourselves, all within you that still wants to fight for the future, and prepare. On the day that Sarah Palin announces, whatever the date, I will find some way to be there. It’s easy to make excuses and to claim a thing too hard. Leave the excuses to Obama. Leave them to the rest of the GOP field. We won’t need them. Respectfully and faithfully serving the people, as she would…….and respectfully and faithfully serving the campaign… Thank you for this great reminder….I am in for the long haul…and I am ready to serve!!!! :) Even CNN shared the difference between Palin's camp and Bachmann, and we must remain humble, serving respectfully and faithfully! Run Sarah run!! Love your blog! you are spot on. I too am a big supporter of Gov. Palin. I pray every day she will run for prez. I will pray for rain for your farm. Palin isn't related to the cousins, Bush, Bush's wife, McCain, Obama, Chainey, Clinton, the Queen fo England, and Prince Charles, even LBJ, are all part of the Royal Family, and a dynasty, that Palin isn't part of, so how can she win??? Because we the minions outnumber the royal family. And we are tired of being herded and used for their gain. And Sarah Palin has never turned her back on us, or lied to us. She is trying to lift us up, by reminding us that we must reclaim our dignity, our pride and OUR COUNTRY. All I have to do is look into my grandchildrens eyes and this feeling comes over me of wanting to do ANYTHING in my power to give my grandchildren and bright , and beautiful future, not one that requires them to be herded and used. Because she quit fighting? No. Because she is defeated? No. Because she is irrelevant? No. Because she motivates patriots and scares the cr*p out of socialists? Yep. That’s the one.